Sliding wardrobes that save you space and look elegant. 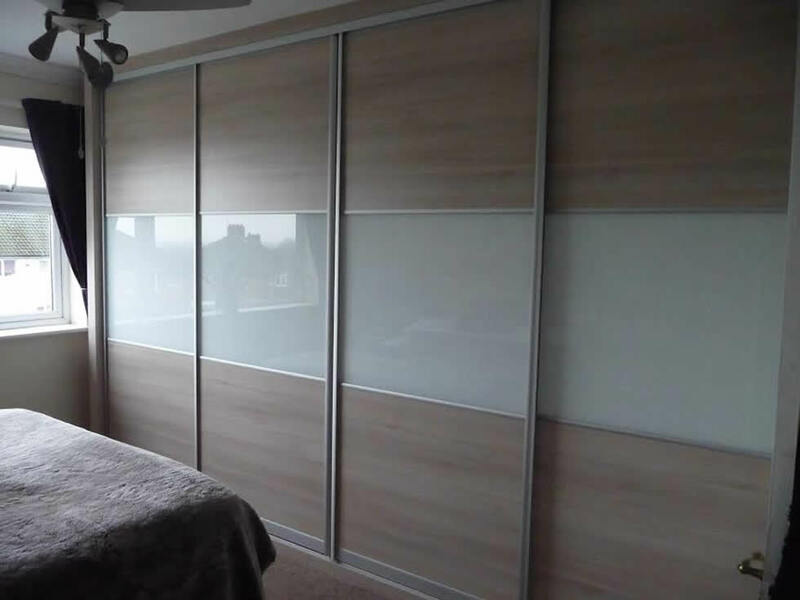 We provide bespoke and tailor-made bedroom sliding doors and wardrobes solutions which are ideal for rooms that have limited space and/or for those who want their bedroom to stand out from all the others. Our professionally and personally created doors glide seamlessly and effortlessly as they are built on a special track using the latest in sliding track technology. As a result of this, our doors take up no space at all, they are completely unobtrusive and immaculately designed. We offer our customers the very latest in design and style with combinations of striking coloured, contemporary clear or relaxing pastel glass. 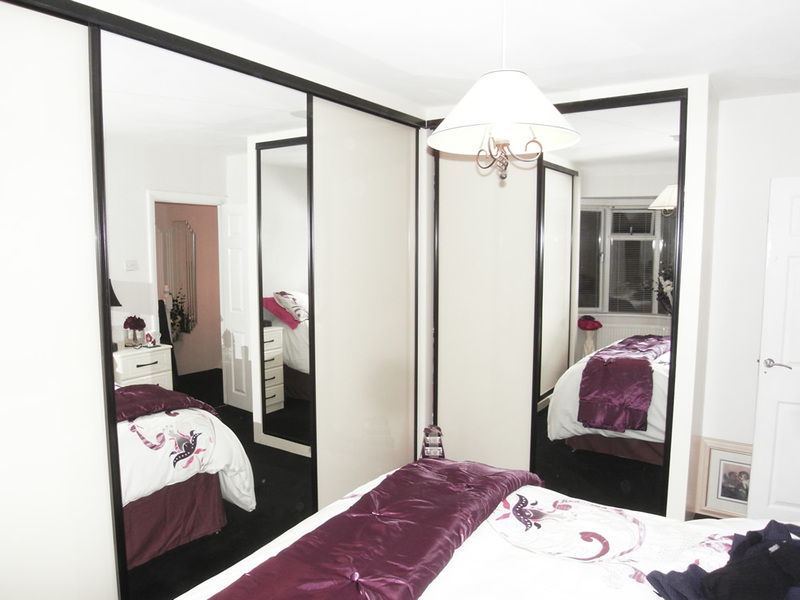 These can be married together or combined with mirrors with the added option of cross strips as a feature. All interiors are handmade in 18mm board and are built specifically to individual customer requirements. Shelving within the wardrobe can be any size or depth to eliminate clutter and interior drawers can be incorporated with a soft close option. To add to the effect, we can also install subtle lighting into the frame which will illuminate the sliding door turning it into more of a feature than a standard door. This has the added benefit of helping you to find your way into/out of a room in the dark. Saving space: doors that are hinged need some room in order to open and close, which means you have to make sure you don’t place any furniture in front of them. Sliding doors on the other hand, do not need this room to be able to open which makes them much more practical in smaller rooms. Enhances the design of the room: sliding doors have been bought into the modern era, they can now be made using a variety of materials and if manufactured well, can actually look quite stunning. Durable: typically speaking, sliding doors are quite durable because the weight is evenly distributed between the panels. Bigger looking room with more natural light: adding mirrored doors to any room will create the illusion that the room is bigger than it actually is, this is especially true of small rooms. To add to this, mirrored doors reflect natural light very well, which helps to lighten up rooms that are naturally darker. 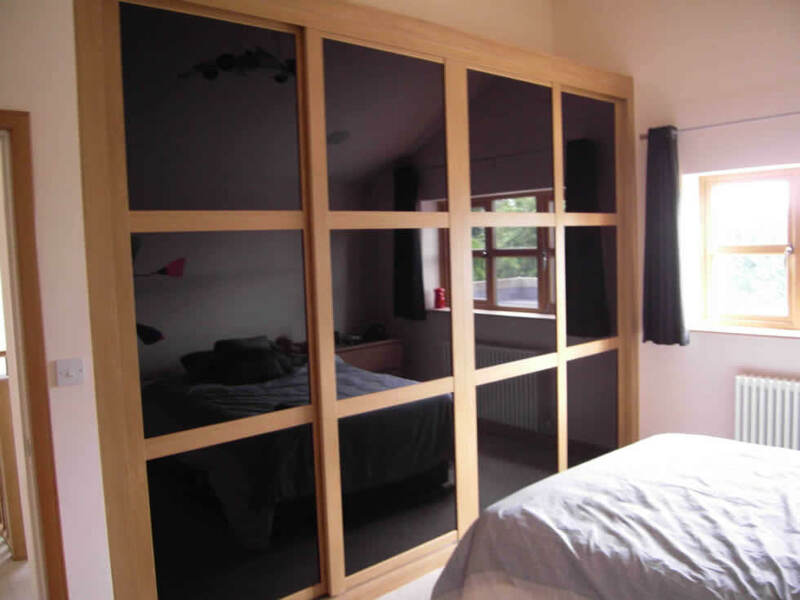 We can install sliding doors, designed to your choosing, in any room in your home, helping you to really make your home, your own. If you would like a free no obligation quote, or you’d just like to speak to us to see what we have to offer you, contact us now.